The Courier has maintained a tradition of excellence and continuous service since its inception in August 1913 under the ownership of longtime founding publisher T. J. Hocking. The Courier enjoys a status as one of Montana's top weekly newspapers and was awarded first place in general excellence for 2011 in Montana Newspaper Association Division II. The Courier, a member of the Stevenson-Hicks newspaper group since 2003, is published on Wednesdays at 54226 US Highway 2 in Glasgow. The print edition is distributed by carriers and mail and is available at retailers throughout Glasgow and in Nashua, Hinsdale, Frazer, Saco and Wolf Point. The Courier facility also houses Courier Printing, a full-service print shop that can handle any printing needs, from flyers and posters to business documents and agricultural jobs – and much more. In addition, The Courier publishes the monthly Hi-Line Farm & Ranch section in partnership with the Havre Daily News. The section, the leading agricultural publication serving Northeast and North Central Montana, is distributed in both newspapers on the first Wednesday of every month. Subscribers have full access to the online edition at glasgowcourier.com. To subscribe, click here. 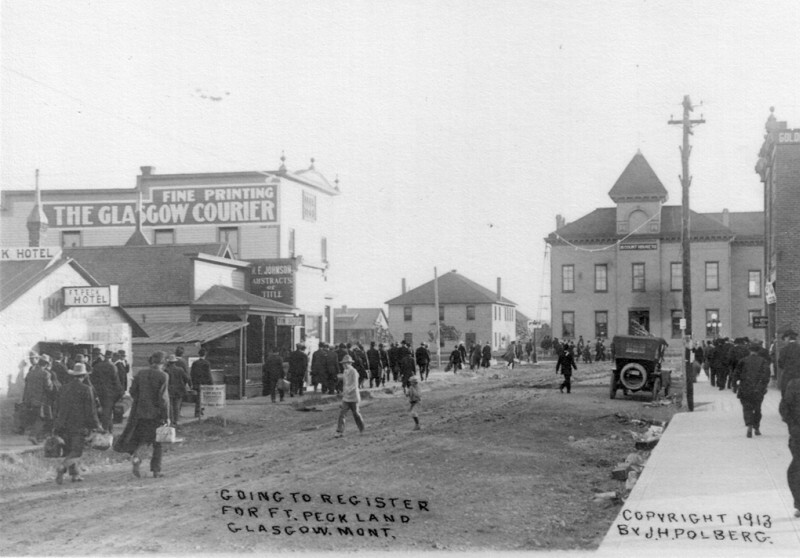 The Glasgow Courier's original home in the historic Oddfellows Hall on 5th Street South is shown here in 1913 shortly after The Courier began publishing. The Courier has been located at 341 Third Ave. South since 1960 and has recently relocated to 54226 US Highway 2.